Penn started this season winning 6 in a row, but played like a .500 team for the rest of the year going 8-8. They ended the season with 14 wins and 8 losses. Also, the Penn Freshman team was recorded as playing 2 games this year against Harvard winning once and losing once. Note that the list of team members varies slightly from source to source. 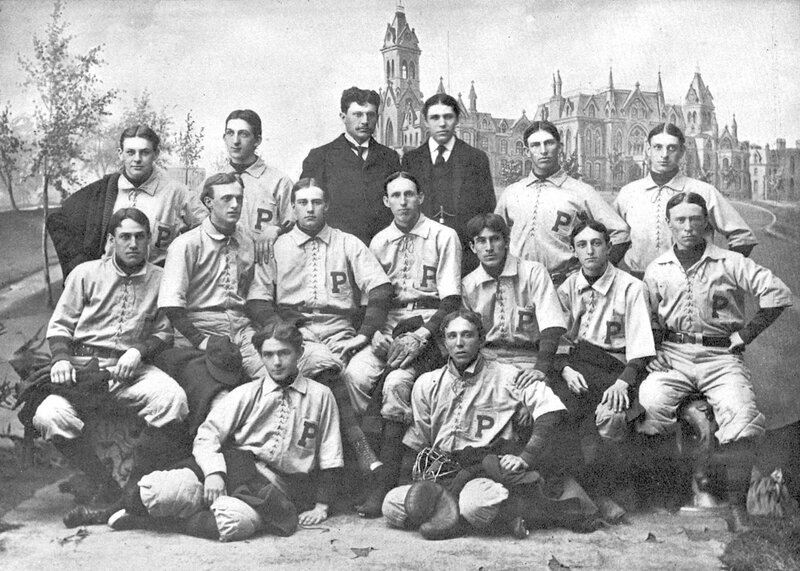 Included here is everyone named in the 1896 yearbook, the Athletic Association history of Penn athletics published in 1913, or both. The yearbook lists fourteen men on this team: one catcher, four pitchers, a shortstop, three basemen, three fielders and two substitutes. Only Blakely and Gray had been on the previous year’s team.